Mia Wasikowska as an ultra-detailed Alice in Wonderland chess piece! Make Alice the queen of your chess set! Queen takes rabbit... check! 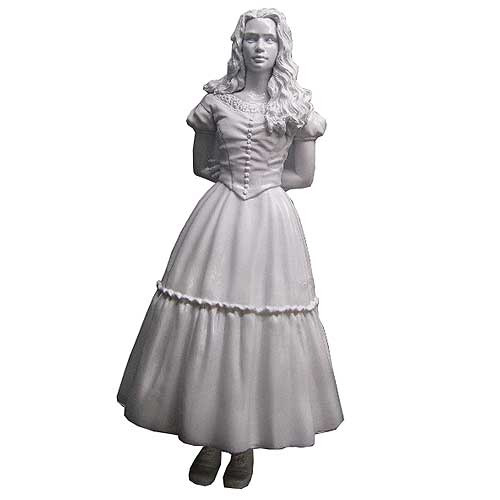 A limited edition San Diego Comic-Con 2010 exclusive based on Tim Burton's Alice in Wonderland, this impressive chess set variant re-imagines actress Mia Wasikowska's Alice as an ultra-detailed chess piece. Limited to 1,500 pieces, she stands about 5 1/2-inches tall. Make Alice the queen of your chess set!